Works by Garry Noland, 2013. Iâ€™ve been making things since I was a boy but started thinking about the context of my work in 1980.Â I knew going in that artists didnâ€™t make any money. Thatâ€™s why I thought art history would be a good career move in 1976; it seemed like doing research on Frederick Law Olmsted, for example, would be an easier job. Â Iâ€™ve had factory work slagging welds and jackhammering frozen coal piles.Â That didnâ€™t work out either.Â Along with a series of day jobs Iâ€™ve thrown together a studio career thatâ€™s gone from the kitchen table to a 3,000 sq. ft. studio and back again. I feel successful if I donâ€™t factor in money. Iâ€™m grateful for the support of my family and artist colleagues here and around the country. In 1977 I was a student assistant for Hollister Sturges, who was in Chicago curating for a show at the University of Missouri â€“ Kansas City (UMKC).Â The show, titled Chicago Abstractionists: Romanticized Structures, allowed me into the studios of John Henry, Paul Slepak, Dan Ramirez, Miyoko Ito and others. Ted Argeropolos had passed by then, but his work was unforgettable. We had dinner at Vera Klementâ€™s place and a few too many drinks at a Greek restaurant with Jane Allan, founder of New Art Examiner and Derek Guthrie, a painter and NAEâ€™s publisher. Flash forward to 1993.Â I hailed a taxi at Midway.Â I was in town for a show at Deson-Saunders Gallery. Mark Saunders had seen my work at the NIU Chicago Gallery and then included a few of my pieces in a group show. I was amazed by the activity in the Chicago galleries and knew there was nothing back home like this. The driver asked me where I was from. â€œKansas City,â€ I said. Eyes up in the rearview driver says, â€œyou know they call KC â€˜Little Chicagoâ€™.â€ Â It had something to do with the mob, he said, and if it got too hot in Chicago, â€œthe boys hightailed it to KC.â€Â Nice to know.Â It doesnâ€™t happen that way, probably, anymore. So this was the SECOND City? Â Driving back to KC with a load of paintings and sculpture I wonderedâ€¦.if Chicagoâ€™s the Second City, how good was the First City? And like Dorothyâ€™s Emerald City, what happened when the curtain was pulled aside? Where did KC rank in all this? The truth is every cityâ€™s the second city. Being an artist carries with it a cruel joke. We pursue beauty, achieve it sometimes, but nothingâ€™s ever enough. At least it shouldnâ€™t be; itâ€™s how we move forward. The grass is always greener on the other side of the fence or in another gallery. Thereâ€™s a lot more activity in KC these days compared to 1977, or even 1993.Â About the only chance for a Kansas City artist in 1977 to gain a little traction was to be chosen for the Nelson-Atkins Museum of Artâ€™s â€œThirty Miles of Artâ€ or to teach at the Kansas City Art Institute (KCAI) or UMKC. â€œThirty Miles of Artâ€ (for which my work was rejected twice) was a local, less vigorous version of the Museum of Contemporary Artâ€™s â€œChicago Worksâ€ series.Â Another alternative was to get involved with the Kansas City Artistâ€™s Coalition (KCAC), an artist-run space that formed coincidentally with Chicagoâ€™s N.A.M.E. and ARC. 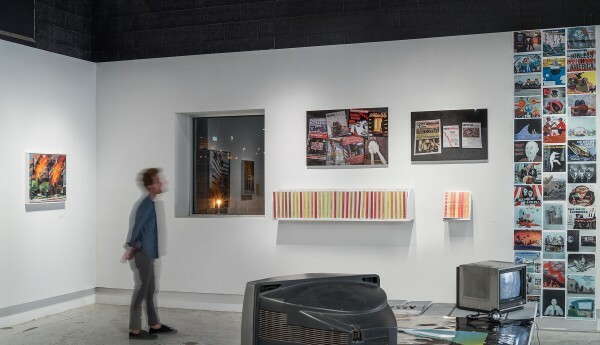 Installation view of Charlotte Street 2013-2014 Curator-In-Residence Danny Orendorff’s “We’ll Make Out Better Than Okay” exhibition at la Esquina gallery space in Kansas City, Missouri. Millenials are coming to town and sticking around. Â The Charlotte Street Foundationâ€™s (CSF) sustained programming, supporting the work of Kansas City artists, has not gone unnoticed by recent classes of art school and university art department graduates. Â Kansas City is a viable alternative to more expensive locationsâ€”such as Chicago, New York, Los Angeles and San Francisco, to name a fewâ€”in which to set up a studio, develop and show new work. The result is young people working in the studioâ€”even if itâ€™s a kitchen table, opening exhibition venues, writing poetry and scripts, publishing blogs and creating choreography. The H & R Block Artspace at the Kansas City Art Institute sponsors a biennial of works on paper called KC Flatfile, a project that archives into several large flat files scores of area artistsâ€™ drawings, collages, prints and more. The Artspace, led by director and chief curator Raechelle Smith, makes a point of involving local and visiting curators to create short-run installations featuring works culled from these flat files. Furthermore, Smith and her Artspace team actively support experimental presentations by local curatorial and studio projects. 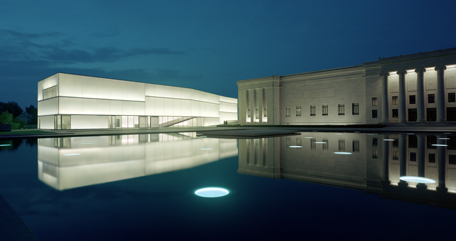 The Nerman Museum of Contemporary Art at Johnson County Community College regularly hosts artist talks for the student population. Director Bruce Hartman is a booster of KC artists by making sure that the museumâ€™s collection represents KC diversely. Dylan Mortimer, a local artist, is currently having a solo exhibition at the Nerman. The Kemper Museum of Contemporary Artâ€™s newish curator and educator (sheâ€™s been on the job for a little more than a year) Erin Dziedzic is becoming known for making studio visits and is planning a series of group exhibitions focusing on artists in the metropolitan area. PLUG Projects is an artist-operated storefront gallery.Â PLUG focuses on exhibitions by local and national artists. 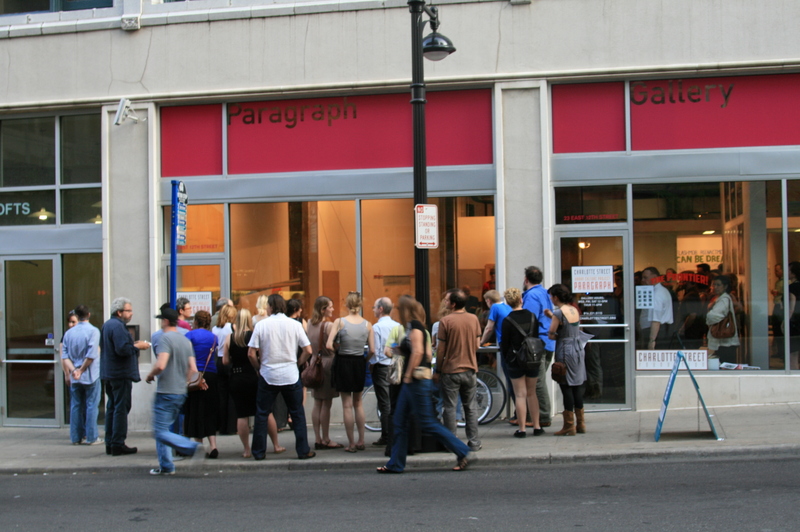 Its exhibitions are supplemented by a film series, critique night, and 8 Â½ x 11, a printed venue for art writing in KC. 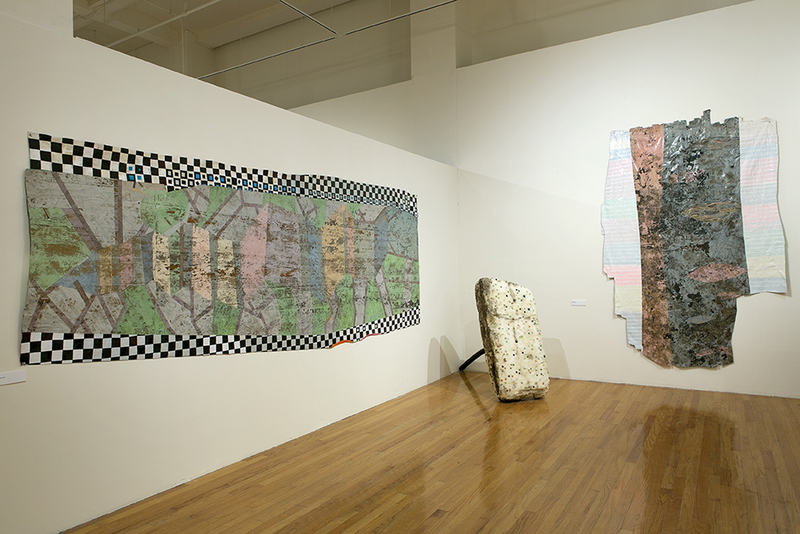 UMKCâ€™s Fine Arts Gallery has been remodeled and, under artist Davin Watneâ€™s guidance, is kicking up the energy several notches with multi-disciplinary programming and projects by emerging artists. Artist Inc., in conjunction with UMKC, CSF and ArtsKC, a city arts council, provides networking resources and entrepreneurial workshops for artists, writers and actors in an effort to help them build a sustained professional career in KC. There are others, too: KCAC, Rockhurst Universityâ€™s Greenlease Gallery, Fishtank Theater, The Living Room, Cupcakes in Regalia, Blue Roomâ€™s Jazz Poetry Series, The Writerâ€™s Place, Garcia Squared and Studios Inc. 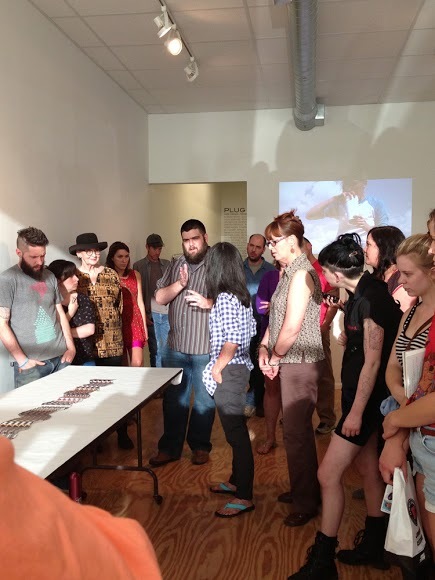 Critique Night at PLUG Projects in Kansas City, Missouri. How have all these millenials affected me, someone who just turned 60?Â I am amazed at their work ethic and dedication to studio practice.Â It makes me work harder. Conversations about work and ideas are exchanged in organized critiques, and sometimes one on one. Â Theyâ€™ve raised the temperature and sophistication of the dialogue. They seem interested in the older generation and the history of KC, thus the paybacks seem reciprocal. Thereâ€™s pressure too: to performâ€¦ to attain or retain some semblance of relevance locally and nationally. Â Itâ€™Â­Â­Â­Â­Â­s common to hear fellow artists comparing and contrasting colleaguesâ€™ work.Â A context is established and all boats rise. Artists want to do â€œ8 for 8.â€ They want fair value for their work. It sounds middle class and thatâ€™s a good thing.Â We all want to work and we all do work.Â Thereâ€™s ample trade in doing what artists do: (clichÃ© alert) asking and answering questions, questioning the status quo and blurring jobs and job descriptions. Maybe the countryâ€™s new creative class is the countryâ€™s new emergent middle class. Thatâ€™s my city.Â I know though, in the larger picture, if there are 50 artists here working their asses off, there are 100 in St. Louis, 500 in Chicago, 5000 in New York and who knows how many in Dehli or Shanghai. Turns out, every cityâ€™s the second city. 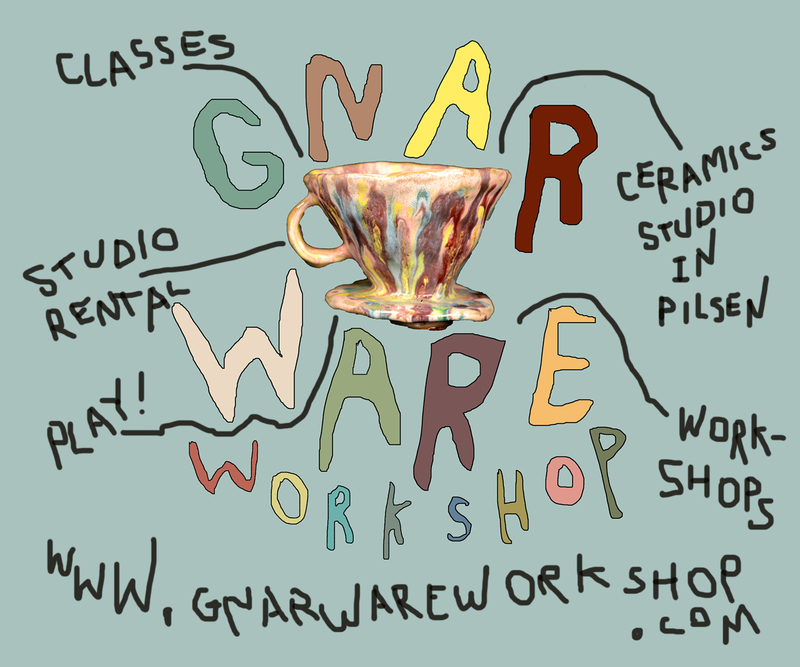 GarryÂ Noland graduated from UMKC in 1978 with a BA-History of Art. He contributed regularly toÂ New Art Examiner,Â ForumÂ (the monthly of Kansas City Artists Coalition) andÂ Art Extra, a publication from Wichita, KS. 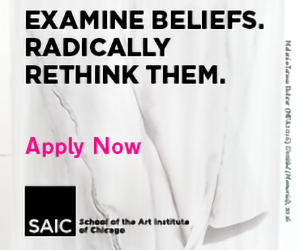 He won a NEA Fellowship in Paintings and Works on Paper in 1994 and was awarded a Studios Inc Artist Residency in 2011. Noland’s work has been exhibited recently at Bemis Center for Contemporary Arts, Indianapolis Art Center, Hardesty Art Center and la Esquina. Upcoming exhibits includeÂ The Center is a Moving TargetÂ at Kemper Crossroads (Kansas City) and exhibitions at Zarrow Gallery (University of Tulsa) and Beverly (St. Louis) with his daughter, Peggy Noland.